Peak Alerts are not a notice of a power shortage, they are simply a load management effort used to reduce the demand for electricity and keep your cost of power as low as possible. By keeping high electrical demand levels to a minimum, our cooperative members reap the benefit, in the form of a lower cost of power.  A Peak Alert occurs when The Energy Cooperative is extremely close to demanding more electric power than we’ve ever used before. Your cooperative pays for power based on the total number of kilowatt hours of electricity we use, AND the largest demand for electric power during any one-hour increment. If we set a new “peak demand,” it can mean we have to pay thousands of dollars more throughout the rest of the year. And that means higher electric rates for you, our electric members. Peak Alerts are likely to occur Monday – Friday from 2:00 p.m. until 6:00 p.m. on days that are extremely hot and humid. Peak Alerts can vary during the winter depending on temperatures and demand. In the winter, lower your thermostat to 68 degrees or lower. In the summer, raise your thermostat to 78 degrees or higher. Delay doing laundry, running the dishwasher or using other major appliances until later in the evening. In the summer, take advantage of using the outdoor grill to keep cooking heat outside. By working together, we can curve the demand for electric power. This teamwork is a win-win for the membership and the cooperative, as the cooperative consistently works towards the goal of keeping the cost of power as low as possible. Electric cooperatives in Ohio began using radio-controlled remote switches as far back as the 1970s to help manage their electricity load. That load management is important because rates for the entire year are set based on the highest points of usage during the year ­— called the peak demand — so cutting back as the load level approaches that peak helps avoid establishing a new one. By turning off water heaters, air conditioners, and heat pumps during times of high demand, cooperatives and their members across the state can save a substantial amount of money on electricity costs.